Intimidated by the mere thought of cryptocurrency? Don’t be! That balance in your digital wallet is no different than the wad of cash in your pocket. 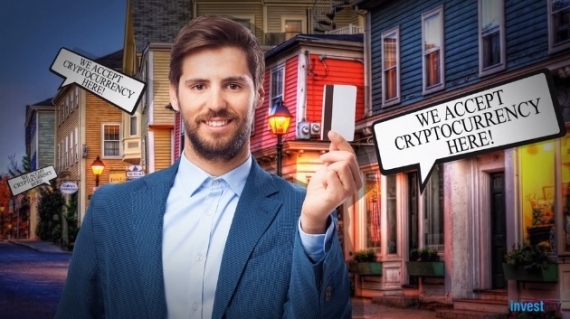 There are three main ways to use digital and fiat currency, and once you figure out the basics, the crypto world will open all kinds of new doors for you. You’re sitting at home, staring endlessly at your digital wallet. You have a quite a substantial balance there, but that’s not the problem. The problem is you don’t know what to do with it all. Some people get intimidated by the thought of cryptocurrency like it’s some crazy new technology that only geniuses know how to use. Well, that’s just not true. In many ways, digital currency is just like your standard fiat money. There are essentially three ways one can use both, and you’re about to see how. This is what most people want to do with their cryptocurrency, and fortunately for you, it’s only getting easier to use around the world. Think of Bitcoin as the U.S. dollar of the crypto world. It’s the most valuable and the most popular currency, meaning more merchants are willing to accept it compared to any other form of digital currency. However, it might not stay this way for long. Other popular alternatives such as Ethereum, Litecoin, and Bitcoin Cash are slowly becoming viable options. While their popularity is reaching new highs, they are still far behind Bitcoin in terms of merchants willing to accept it as payment. Simply put, merchants will always jump on the latest trend. At the moment, Coindesk estimates that there are around 15 million Bitcoin wallets as of 2017. Compare that to the one million Ether wallets and you can see why merchants are more open to Bitcoin than anyone else. Just like fiat money, trading and investing with cryptocurrency is another popular option, and some people have become quite good at it. Just as Bitcoin is the most popular digital currency to pay with, it’s also the most popular to trade or invest with. Following close behind are Ethereum, Bitcoin Cash, Ripple, and Dash to round out the top five. On any given day, the value of each digital currency can change dramatically, so if you’re interested in playing the game, it’s crucial to monitor the market day in and day out. Just like with fiat money, it’s never good to invest all your money into one entity. To get the most out of your portfolio, choose currencies with high volatility and always include enough diversity. If you’re just starting out with investing or trading, start small. Only invest what you can afford to lose. This is the easiest one of them all. Just like when your annoying sister keeps crying at the dinner table, sometimes, it’s best to just ignore cryptocurrencies. “Why,” you ask? For one, there is a massive number of digital currencies on the market, and more seem to magically appear each week. We can attribute this to the rising popularity of ICO. However, don’t be fooled. Around 80% of the cryptocurrencies out there are either scams, worthless ripoffs, or just your average “pump and dump” scheme. So, how do you avoid falling victim to these? That’s where ignoring comes in handy. Think twice, thrice, or even four times before investing in a new digital currency, especially if it’s supported by nothing but a poorly written whitepaper. In the crypto world, reputation matters. Hence, the more people you see joining a certain blockchain system, then the more reliable it is. Pay, trade, and ignore. Those are the three golden rules of cryptocurrency. In fact, those are the three rules of any currency. 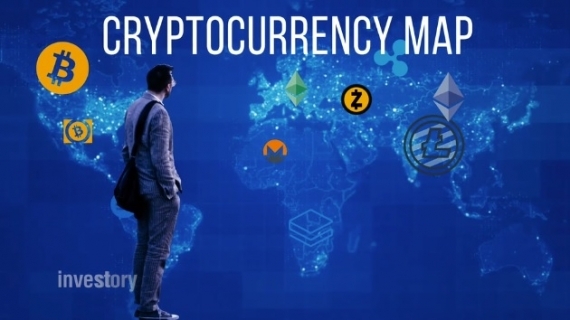 Once you’ve discovered the best digital currency to play with, which one to invest in, and of course, which ones to ignore, your walk through the crypto world will be an easy and fruitful one.